“GIS maps are part of a new feature of education—getting students to think critically, collaborate meaningfully, and ask the right questions to design real solutions using GIS technology,” Legaspi said after the students finished their presentation. will.i.am followed up on that theme. “The maps are really like a filter. They filter information for you to make better decisions on where you are going and what to do. I want to thank the GIS community for opening the doors and transforming these kids’ lives with these tools.” He also challenged GIS professionals to get involved with both his efforts and their own schools to improve the skills that only GIS can deliver. 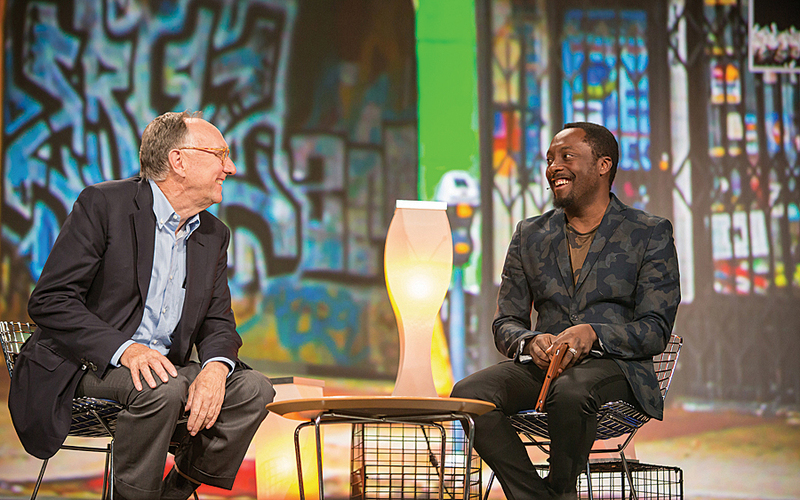 will.i.am, who said he plans to study computer science starting in the fall, emphasized that in a world that now uses technology so much to communicate, it’s important to be tech savvy and computer literate. “Most people don’t read or write code, but we all use technology to communicate,” he said.